In this episode, recorded while camping in Myrtle Beach, South Carolina we reflect on the first week of the tour and share my impressions of conversations, events, and life on the road. This is much more than a recap, it's a deep dive into being alive. It took me over 2,800 to write Financial Freedom. Writing the book was a lot more challenging than I expected, but it was one of the most incredible and fun experiences of my life. In this bonus episode, my friend Cody interviews me and we go behind the scenes on why I wrote the book, how I wrote the book, and the ups and downs of the process. After following the FI path alone for over 2 years I discovered Brandon's blog in 2013, immediately reading all of his posts. His writing on tax, spending, and life optimization guided me on my own FI journey and I'm grateful to now call him a friend. Brandon is one of the 10 people who reached financial independence before 35 featured in the book Financial Freedom: A Proven Path to All the Money You Will Ever Need. In this episode I chat with Travis Shakespeare, the Director of Playing with FIRE, a documentary about the financial independence retire early movement. While we chat about what he's learned making the movie and the FIRE movement, we go deeper on what it means to live a creative life, the power of stories, how to create more freedom in your life at any level of wealth, and more. #1 New York Times Bestselling Author, Entrepreneur, and Philanthropist Tony Robbins shares strategies for mastering money, overcoming fear, and living a fulfilling life. I've been a fan of Tony since reading Awaken The Giant Within at 21. It was a true honor to have him on the podcast to chat about his book Unshakeable and his mission to provide 1 billion meals through Feeding America. It was in August 2010 that I first read Your Money or Your Life by Vicki Robin & Joe Dominguez. It transformed my relationship with money, changed my life, and started my financial independence journey. Vicki Robin wrote the foreword to my book Financial Freedom and I'm honored to call Vicki both a co-creator and friend. This episode was recorded live outside on a cool summer day on Whidbey Island, Washington. One of my earliest childhood memories is of my Dad telling me "Money is Freedom". It has stuck with and inspired me deeply. 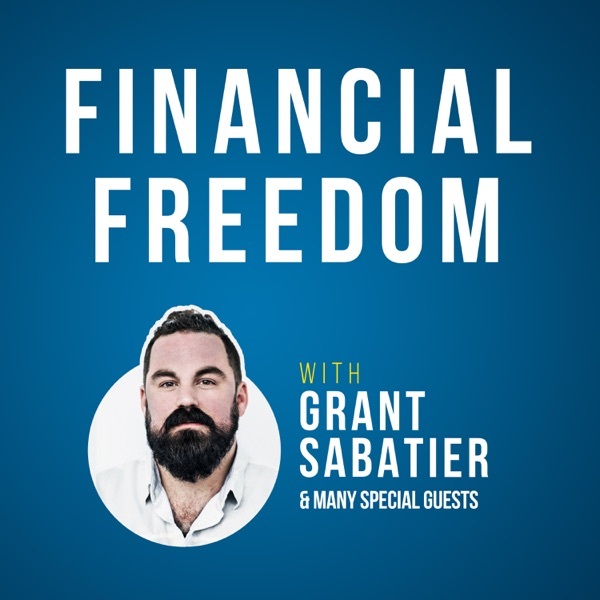 For the first episode of the Financial Freedom podcast I invited my Dad to discuss freedom, money, his challenges growing up, and what's next as he plans for retirement.